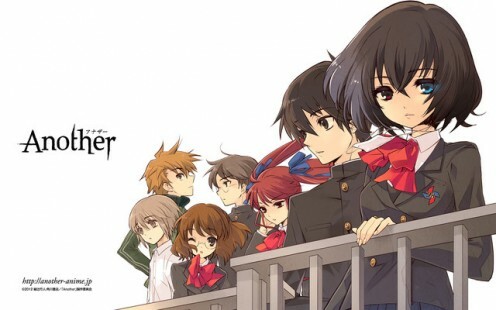 Another is an anime series was aired in Japan from January 10, 2012 until March 27, 2012. This is a horror suspense film that is directed by Tsutomu Mizushima and written by Ryo Higaki. It aired on the KNB, KBS, Tokyo MX, and Chiba TV networks. Currently, you can watch all twelve episodes online at “Crunchyroll” for free. The series also streams on Hulu, too. Keep in mind that Hulu has done away with its free viewing service. 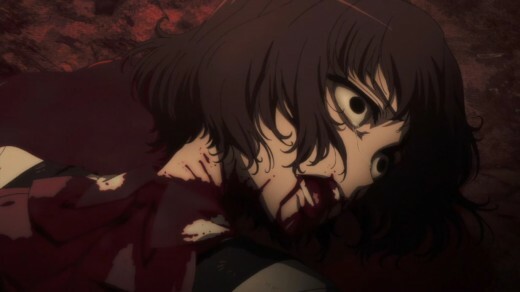 For a series that has much suspense, gore, and horror, Another is a very subtle name. At the same time, the title perfectly fits with the storyline of the series. 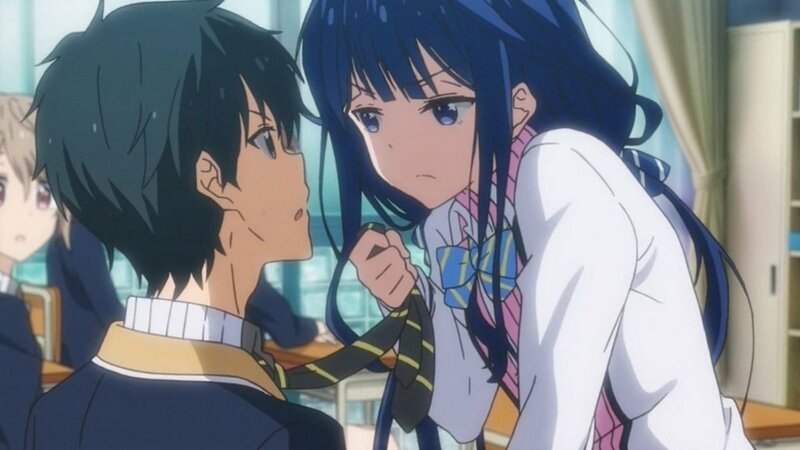 The series is adapted from the serial novel written by Yukito Ayatsuji and published by Kadokawa Shoten. It originally came out on October 29, 2009. 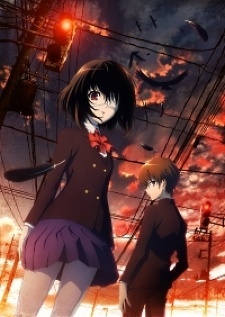 From May 2010 until January 2012, a manga adaptation was released. In early August, a live-action adaptation was aired in movie theaters across Japan. The storyline behind Another has the feel of the Final Destination movie series in which characters are getting killed one by one through not so normal means. In the Final Destination movies, the main and major characters are the ones that managed to elude death when it was their time to die. Death ruthlessly goes after those people. It's somewhat similar to Another, but the storyline is by no means similar to Final Destination. The story behind Another dates back from 1972 until 1998, however that year isn't revealed until almost halfway into the series. 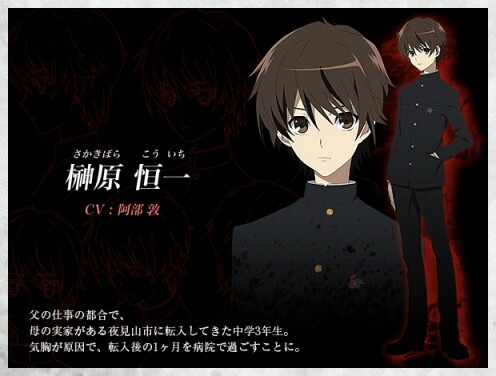 It starts off in spring of 1998 where 15-year-old Koichi Sakakibara starts school at Yomiyama North Middle School which is called “Yomi” for short. He gets transferred to class 3-3 which is one of the driving points of the story. Koichi befriends Mei Misaki, a mysterious girl with an eye-patch. At first, Koichi assumes that Mei is a ghost because the other students in Yomi's class 3-3 don't seem to notice. As the story progresses, it's revealed that the members of class 3-3 chose to ignore Mei and pretend she didn't exist. After the first few episodes, students in class 3-3 start dying off slowly each month; however, the deaths don't simply apply to just class 3-3. People closely associated with those in class 3-3 are also getting killed; but, those people have to be in the village. Students of class 3-3 start formulating their own theories of the threshold of the curse's effects. Slowly, the students of 3-3 become more fearful and paranoid about the curse. Unfortunately for Mei, the majority of class 3-3 still hold her as the scapegoat of the curse that originated back in 1972. 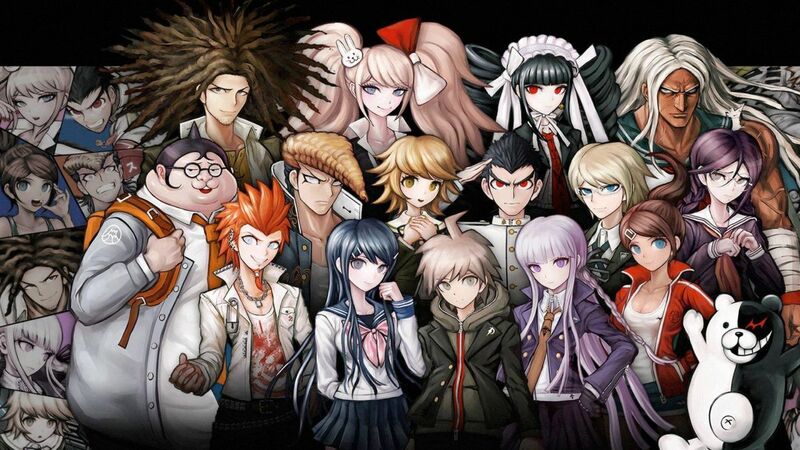 Koichi, Mei, and a few close friends are tasked with finding out who the “Another” student is and kill him/her. While the class of 3-3 strongly think Mei's responsible, Mei's the only one who has the ability to see who's supposed to be alive and who's supposed to be dead. Time is against the heroes as more 3-3 students and those closely associated are getting killed off. Eventually, it builds up to the climatic final battle of survival. The storyline is great as it has horror, mystery, suspense, and escalating paranoia. Viewers won't know what's going on until people start dying a few episodes later. However, that's if you haven't read the novel nor the manga. It's like Final Destination meets Japanese anime with Mei Misaki seemingly at the center of it. When the students think they understand how the curse works and the the distance the curse reaches, they are proven totally wrong which fuels the fires of paranoia causing students to get more hostile towards each other let alone towards Mei who they believe is the "Another" student. As the story progresses, especially towards the very end, a lot of people die. Most of them die very gruesome deaths. Near the end, when the class of 3-3 stay at a manor, it becomes a mix of Final Destination and Battle Royale (the latter happens due to the paranoid students killing each other). The ending becomes reminiscent near the end of the anime series Monster in which a big massacre happens. The kids are not intentionally spiteful, they are just afraid for their lives. When people get incredibly desperate to live, they'll band together and start throwing other people under the bus. But karma gets you sooner or later. Hulu's mobile app is currently available for iOS, Android, Kindle, Playstation Vita, Playstation 4, Nintendo 3DS, and Nintendo Switch. The anime library features content licensed by Funimation, Aniplex US and Sentai Filmworks. The story mainly centers on Koichi and Mei who are respectively the protagonist and the main female character. It's ultimately up to them to figure out how to stop the curse of 1972 from further claiming the lives of Yomi's 3-3 students and everybody else close to them. The characters were portrayed rather realistically with regards to the calamity and the unwritten rule for class 3-3. In short, the characters do a good job of driving the story of Another. Koichi is the main character of Another who is inevitably dragged into dealing with the curse of 3-3 just by being transferred into it. While being good a person, Koichi makes enemies of many of the 3-3 students by breaking the unwritten rule of ignoring the student who is “another.” In this case, Koichi's refusal to ignore the presence of fellow classmate Mei Misaki causes him to be ignored by the rest of the class. He's thrust into the story upon noticing Mei. This was because Koichi didn't start at class 3-3 like the rest of his classmates; thus, he has no understanding of the calamity that haunts class 3-3 every year. But, his curiosity gets the best of him. Due to starting late (due to pneumothorax or “collapsed lung”), he's the only one that “notices” Mei. Because of this, he thinks that she's some kind of ghost. So far, he's pretty transparent which makes him an excellent contrast from Mei Misaki. In short, he's the archetype of the transfer student who knows nothing only to be forcefully dragged into the mystery when people around him are dying. 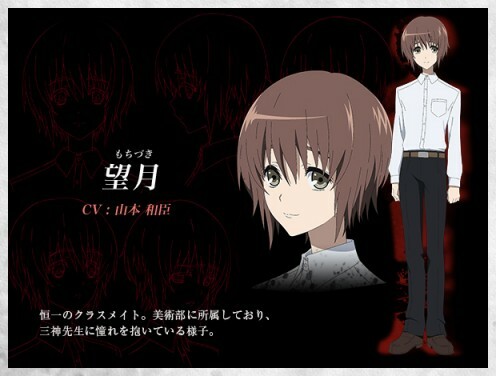 Mei Misaki is the mysterious secondary protagonist of the series. She is the tragic heroine of the series in many different ways. Of all the characters, Mei's the most mysterious and enigmatic of them all. Due to most of class 3-3 pretending she doesn't exist, it's hard to initially tell whether or not Mei is an apparition. The first way is due to Mei's twin sister dying which brings forth her complex backstory. She was directly affected by the curse of Yomi's class 3-3. The second way is because she has an ability called the “shinigami eye.” She's missing one eye which is replaced by a green eye coming from a doll. It would give off the impression that Mei has heterochromia iridium which is two eyes having different colors. Mei's able to “see death” and who's going to die. Because of this ability, Mei's persecuted by the rest of class 3-3 with the exception of Koichi. The third way is due to being targeted as the “non-existent student” or the “another” of class 3-3. In short, Mei's been made the convenient scapegoat. She's pretty much the the convenient scapegoat and target for persecution. Mei's the complete opposite of Koichi. While Koichi is sociable, Mei is quiet and solitary. It's a relationship between an extrovert and an introvert. Furthermore, Mei's introverted personality gives the rest of class 3-3 the suspicion that she's not supposed to be alive. 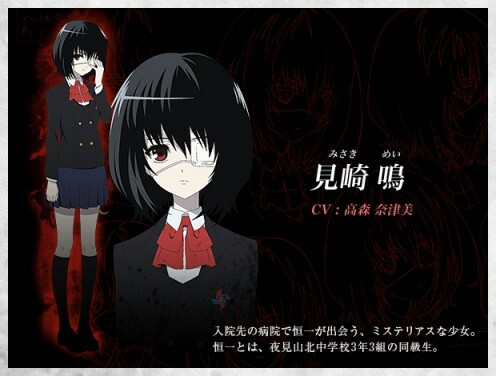 As an appearance, Mei is memorable due to the green eye and medical eye-patch that is worn over it. She's pretty much the biggest ally to Koichi as they try to avert this catastrophe. Mei has the unfortunately role of being ostracized by the rest of class 3-3. Izumi comes off as the semi-antagonist to both Koichi and Mei. This is because Izumi has the role of being the head of class 3-3's disaster prevention section. 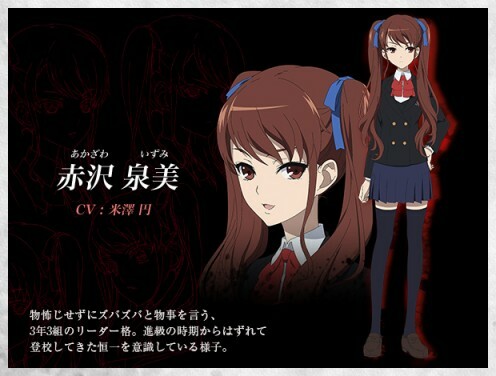 Due to her position, Izumi enforces the “nonexistent student” rule. Because of this, she holds Mei in contempt due to circumstances. Also, she forms somewhat of a love-hate relationship with Koichi. Izumi's fond of Koichi but starts to not like him due to his refusal to stop associating himself with Mei. One could possibly consider Izumi a potential romantic interest. Izumi thinks Mei's the cause of the current calamity. 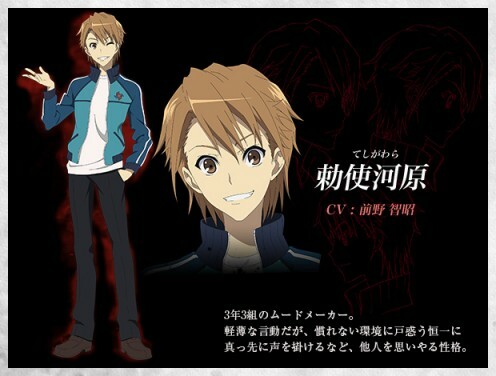 Naoya is the student that tries to lighten up the mood of class 3-3. He's one of the first and few friends that Koichi makes in the anime. As the story progresses, Naoya becomes one of Koichi's closest allies in solving the mystery of the calamity. Due to the way he dresses, Naoya comes off as the extroverted jock. Yuuya is the best friend of Naoya. He also quickly became friends with Koichi. While Naoya is very outgoing, Yuuya comes off as very quiet and patient. In a sense, he's quiet as Mei; but, he's still sociable. Yuuya comes off as one of those ambiverts. He becomes one of Koichi's most important friends and allies in the series. The choice of music for the opening and ending of Another is quite interesting. They both contrast from the actual feel of Another. While Another gets gruesome as the episodes progress, the opening and ending songs don't even suggest it. By the tone of the opening song, you may think that the anime is more upbeat; but no, it's far from it. The opening song is Kyomu Densen or “Nightmare Contagion” by Another. If you understand Japanese, then this opening track feels the most appropriate. This song is performed by Ali Project which is known for doing songs for anime titles such as: Fate/Extra, Noir, .hack//Roots, and Phantom: Requiem for the Phantom. The ending song is “Rakuen” or “Paradise” by Miliyah Kato. While the opening has an energetic and fantastical beat, Rakuen by Miliyah Kato has a more soft tone to it. In short, the choice of songs for the series are rather interesting. Personally, I don't have a problem with either. The music choices are very deceptive when it comes to the slowly darkening feel of the anime series. Another is one of those series that seems to be an acquired taste. Even for twelve episodes, the story was somewhat slow paced. But, the plot is definitely original where you have a curse that stemmed from over twenty years ago and a transfer student in 1998 gets dragged into this mystery. It's one of those stories where you have absolutely no idea what's going on. You don't think somebody's going to die let alone through the most gruesome ways. The series is pretty mysterious like that. But this is a pretty subtle horror mystery series. If you're into horror and mystery with a supernatural twist, give Another a try. It's quite the mix of supernatural and cerebral. 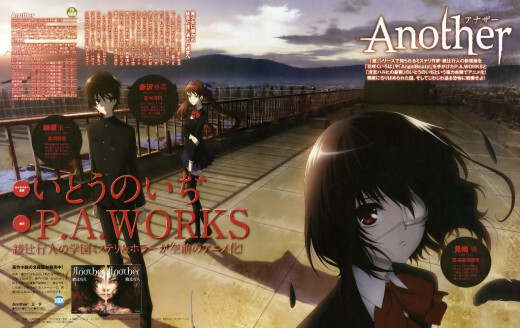 Ohh a new anime, okay I am intreage to check it out. Thank you!